Whether it’s trying to land a coveted spot at a big summer festival or hoping to line up a solid run of shows for your next tour, the business of music booking is a murky venture for artists and venues alike for a plethora of reasons. From an artist’s perspective, countless hours go into creating music, perfecting a set, and bringing it to the stage — and that should speak for itself, right? It might be nice to fantasize about a world where musicians just show up to play and crowds miraculously appear, but that obviously isn’t how things work. Venues need bands to do much more than just show up and play great music, and all that starts with getting your foot in the door in the first place! 1. Stop thinking of your band as their charity case. Want to increase your band’s chances of getting booked? 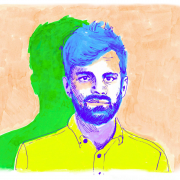 Try putting yourself in the shoes of venues, show promoters, and festival curators. Music making is too often an introverted, navel-gazing pursuit on the part of the artist, and a great deal of us work incredibly hard to make music and share it with the world, only to struggle in finding any tangible booking success. Why? Often, a lack of empathy for the audiences that support us or the venues that host us is partly to blame. If you’re enthusiastically writing venues in your city but never getting responses, don’t get upset about it — just make an effort to think about the reasons why this could be the case. Are you targeting venues too large and established? Are your recorded demos not good enough to showcase your talent and sound, or do you not even have demos to begin with? (If so, you should rectify that.) Are you sure you’re not making any avoidable spelling, grammar, or colloquial linguistic errors in your booking emails? Show promoters and talent buyers don’t work on a volunteer basis. Sure, they probably got their jobs because they have an interest in music, but do you know what they love more than music? Being able to pay for health insurance, eating out every now and then, and having a roof to sleep under every night. If you don’t bring people to your shows, the venue won’t make any money, and there’s only so many favors you can expect them to do for you. It isn’t always about money, but think about why your act really helps the venue out, whether it’s a perfect support match, or something uniquely marketable like an “album release party,” before you reach out. If you can craft your email pitches around their needs, they may be able to see beyond your lack of status on the local scene and help you out. Here’s a quick video full of tips about how to reach out to venues you’ve never played at, courtesy of Soundfly’s free online course on DIY booking, management, and promotion, Touring on a Shoestring. 2. Highlight your unique style and past successes. Once you’re on board with knowing that venues and club promoters aren’t charity organizations chomping at the bit to help you promote your music, learning how to describe your sound and successes is the next vital step in making your band more bookable. This is essential for creating an engaging pitch designed to tell venues why you’re worth booking. What’s the one thing (or three or four!) that you do that nobody else does? Describe your band, give a brief history about your work, and highlight your accomplishments. If you don’t have any successes yet, then your goal should be to get your foot in the door of a small local venue, or play in your friends’ living rooms and backyards and set up cameras to capture the show, or do whatever you can to get out there on the circuit. Then build momentum from there. When pitching to venues, being completely honest about what you can deliver is essential for building trust and solid relationships for years to come. A promoter might ask: “What’s your draw for Kansas City?” If it’s 25, say 25, even if that means you won’t get booked. If it’s zero, say zero, but say you’re willing to boost Facebook ads in the area and send a bunch of press releases out. Showing initiative and being honest is what they really want to see. Inflating what you can realistically offer a venue might land you a show in the short term, but it will only result in empty venues and people being upset with your band. You’re going to need allies at venues both in your local scene and around the country if you hope to make touring a lasting part of your band’s lifespan. Honesty and realness are king. Thinking about what’s in it for the venue can also help you learn how to better sell your band in other marketing arenas. For example, if you’re angling to land a show opening for a bigger band touring through your town, the economy of that inquiry is pretty much in favor of the venue, the band, and their management. If you’re lucky and experiencing some real momentum, maybe you’ll get asked to join the bill, but otherwise, it’s important to know what cards you hold in your hand, and which to play. When you’ve got something to offer (a big ol’ crowd filled with fans, friends and family, or a new release under your belt), local venues are sure to take notice. By keeping the needs, expectations, and limitations of the venues and promoters you reach out to, you’ll have the best chance of getting booked. Looking to professionalize your live show? 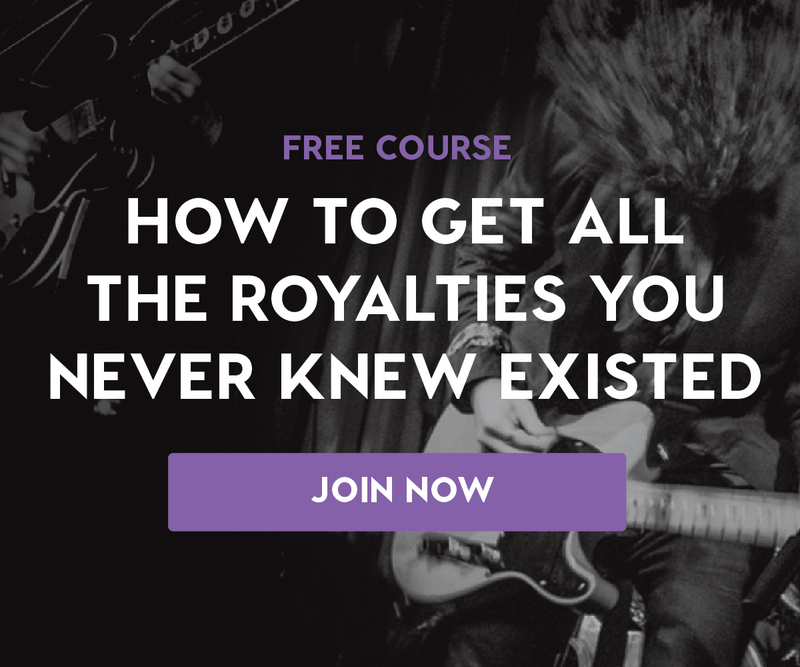 Check out Soundfly’s array of free online courses like Touring on a Shoestring, Building a Better Band, and Live Clicks and Backing Tracks, all designed to help you up your efficiency, make more money, and get on the road quicker. And check out the Headliners Club program for 1-on-1 goal-oriented pro mentorship today to work with a coach on realizing your musical goals.